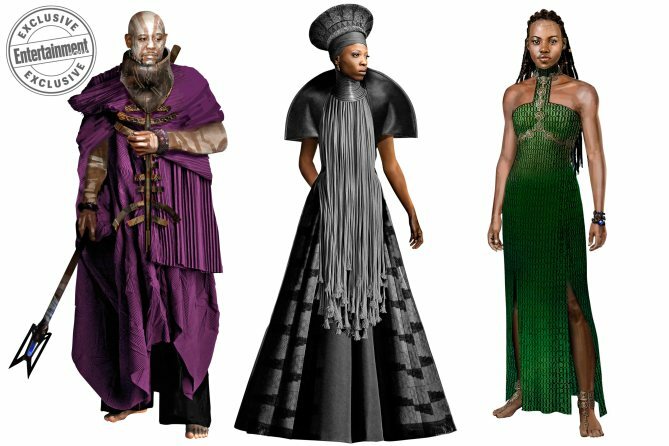 The regal wardrobe of Wakanda is undoubtedly fit for a king, but what inspired costume designer Ruth E. Carter (Selma) during the creation of Marvel’s Black Panther movie? 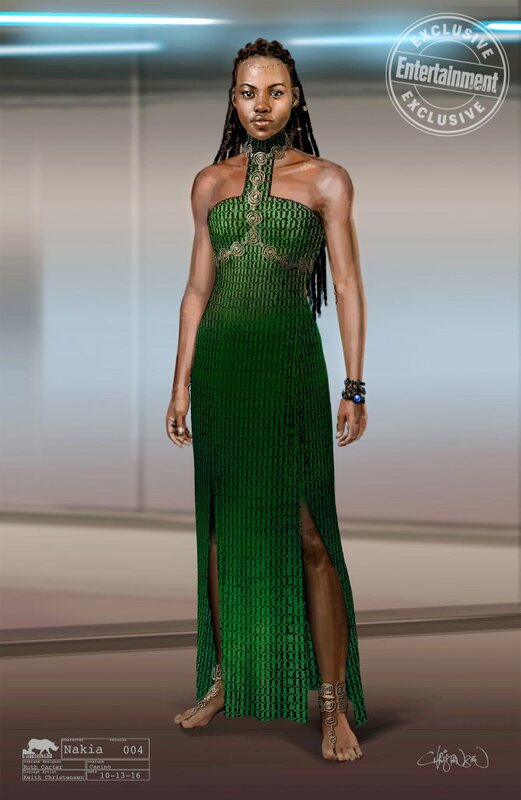 That was the question posed by Entertainment Weekly, who quizzed the Oscar-nominated designer about her approach to kitting out T’Challa and friends. 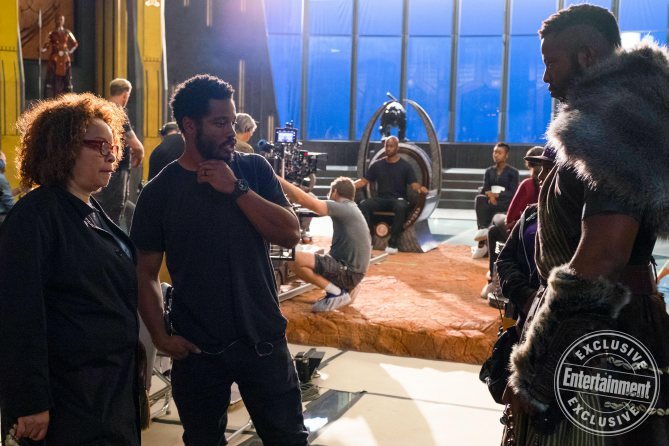 Turns out Carter sprinkled a little Japanese fashion and Victorian drab into her Black Panther ensemble, resulting in one of the best-looking movies to come out of Marvel Studios in a generation. The neck rings needed to have a hand-done feel. Most jewelry you see from Africa looks like someone hammered it and molded it by hand. 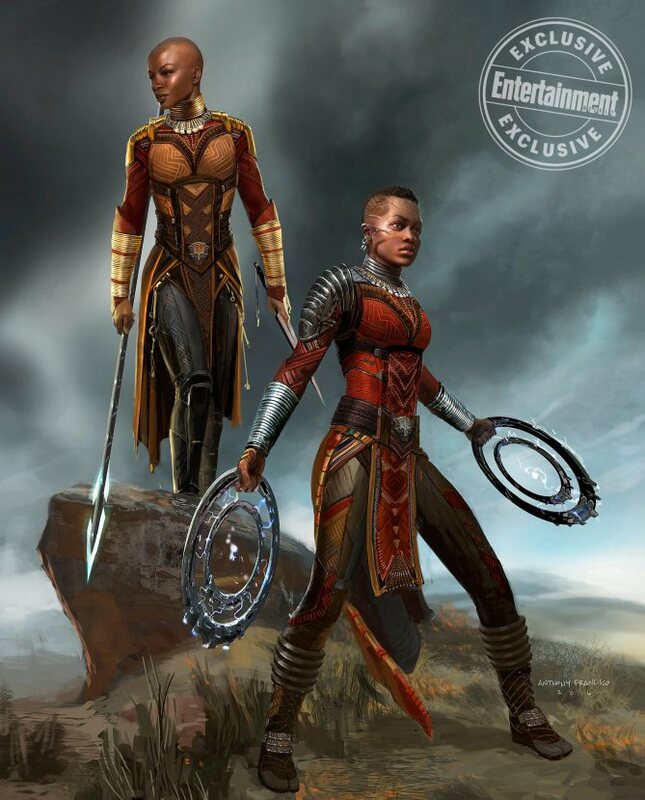 I imagine that these Dora Milaje train their daughters, and when she’s ready to join the force, the mother who’s retiring could take off her harness and hand it down. Another point of interest is Zuri (Star Wars alum Forest Whitaker), who serves as a mentor and pseudo-father figure to the young T’Challa. 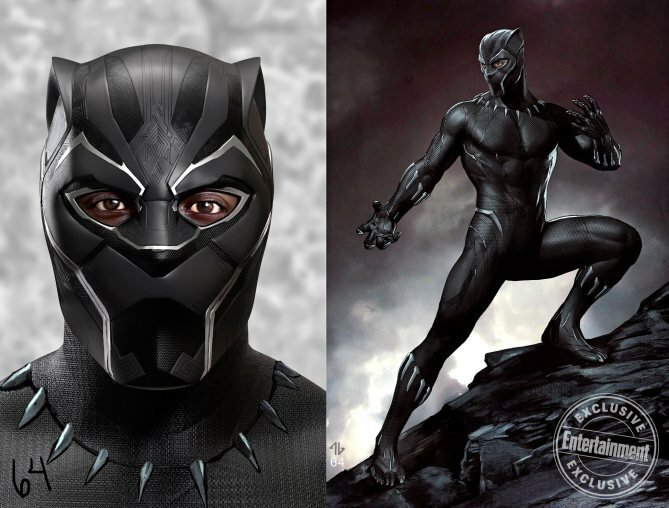 Much like the Dora Milaje before him, he’ll also be sporting a tabard, which is very much considered to be part of the fabric of Wakanda. 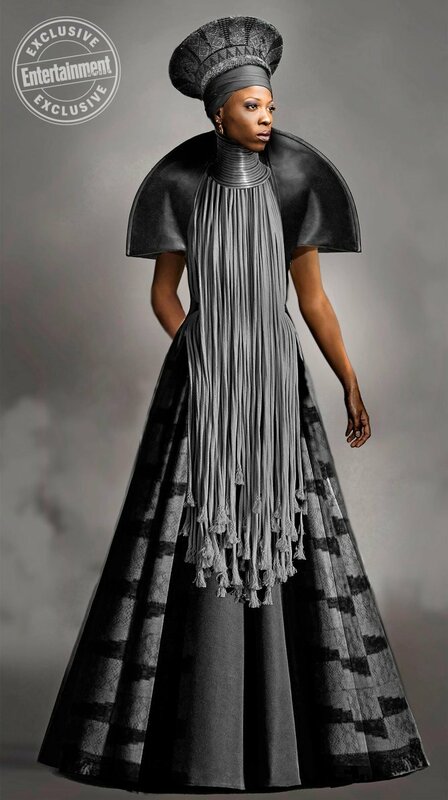 There were things that were similar in a lot of the costumes, which I felt like would be the language of Wakand. Tabards were one of them, so if a person wore a tabard, it had a special meaning. His tabards were very mystical, and some of his tabards had bones on them or coins or metal pieces, as well as wood beads. I understand a little bit about superheroes in the Marvel universe, but I had never done one. I was kind of glad in the end that I wasn’t so influenced by all the other superhero films that you see, and I wasn’t following with any kind of model. It’s being championed as one of the most important superhero movies in years – decades, even – and we’ll be able to see if Black Panther can live up to those sky-high expectations on February 16th, by which point we’ll be able to pore over the very first trailer for Deadpool 2 as well.